Foreseeson sources locally and globally to deliver components that offer the optimal mix of cost and efficiency -- even during periods of tight allocation. We provide stocking services for EMS customers by maintaining a minimum level of inventory of staple components--so they don't have to. 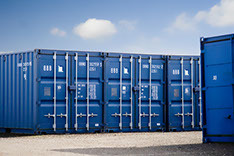 Shipment Containers Our kitting services ensure that EMS customers can fulfill orders for their clients, smoothly and efficiently. Our purchasing teams provide Incoming Inspection Services and purchase parts according to your requirements. They suggest alternatives to reduce cost and improve availability. Parts are stocked in a safe and fully-ensured location.